Tinting Leather with Sharpies and Nail Polish Remover « Adafruit Industries – Makers, hackers, artists, designers and engineers! One skill that comes in handy for cosplay is learning how to tint leather or pleather so that it looks like a different color or looks richer or aged. Tumblr user Yaexrae, a.k.a. 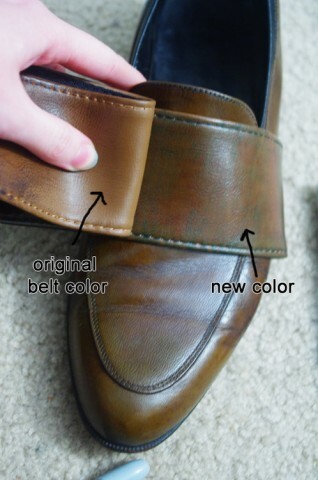 Ems, recently experimented with altering the color of shoes and a belt and was able to change a dull gray shoe to a reddish brown by using a little shoe polish and Sharpies. 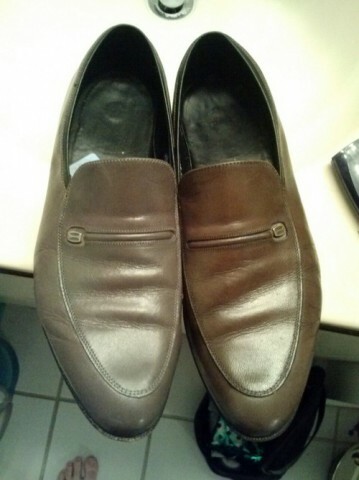 She learned shoe polish doesn’t work as well on pleather and that it dulls the overall color. She found success with Sharpie markers though. She used brown, yellow, blue, and aqua markers and scribbled the colors onto the belt. She then soaked a tissue in acetone and rubbed the belt with the tissue – it served to blend the colors and it lifted some of the pigment off. All she had to do to achieve the desired effect was to rinse and repeat. It adds a nice patina to the shoe.